A crochet scarf is such a good choice and a great good investment cause you can wear it everyday and will always fit you. And when you have a pattern like this one in your hands, you may as well feel like you’ve just won the lottery! 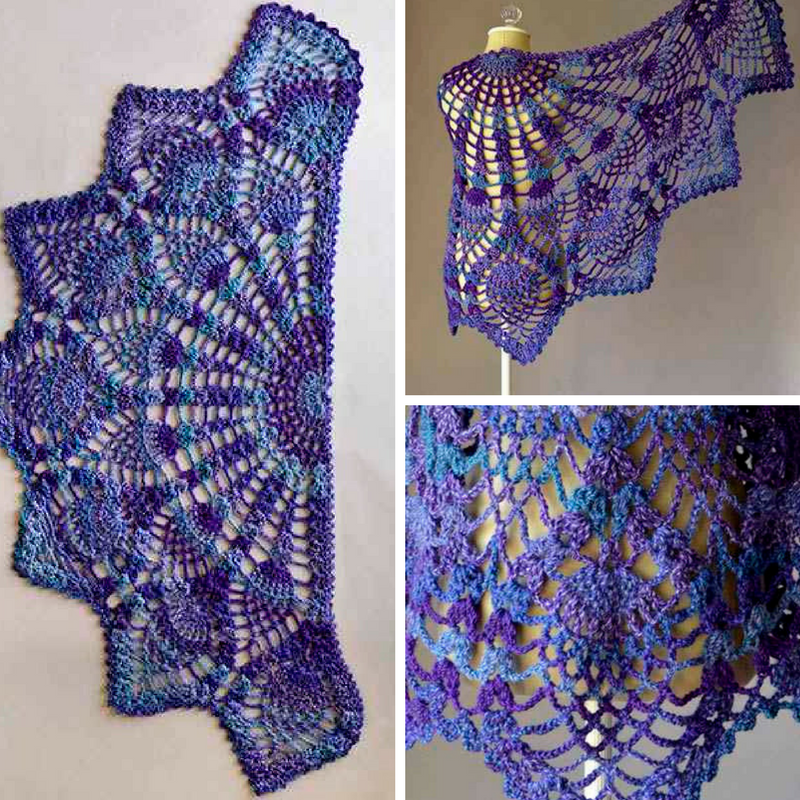 Pineapple Peacock Shawl designed by Amy Gunderson is perfect for every style and taste and it’s the type of pattern that looks great in every color. Just choose a color that’s flattering for you and this very comfortable to wear Pineapple Peacock Shawl will look absolutely amazing. Visit the Next Page link below for the Pineapple Peacock Shawl Video Tutorial. [Free Pattern] This Crochet Flower Square Is Definitely The Type Of Pattern You’ll Enjoy!